Every pay check for the last couple months I have manage to squirrel away a few yoyos for the fund. Tools i use most are to be replaced with decent quality ones. Most my tools are in the just get it done department tbh. Other aspect is obviously tools i dont have but should have are to be acquired. Decent quality comes with air quotes, the lady accountant would notice if it were mac and teng making their way into the garaiste so allowances are to be made. Think draper expert, sealey and midrange to getting on the ocassional quality quality incursion. Quality vintage stuff is deffo an option. So hit me. What ya recommend and why? 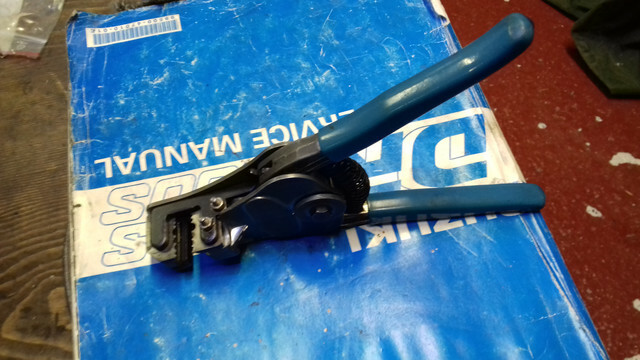 A quality small flush cut side cutters. I bought a lovely knipex one and its sweet. 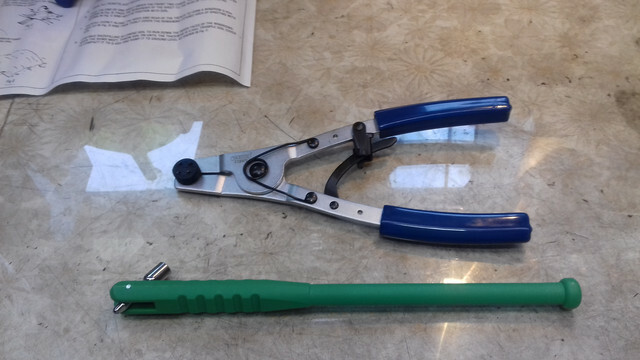 Fed up with piss poor quality cheapo allen straight t handled sets. Have two teng ones in the main sizes and they're fab so bought a decent set of draper 33873 expert t grip ball and hex end ones. 8 piece and these are a great buy, easily as good as my two teng ones and the eight peice set cost the same! Wanted a decent air pressure gauage with bleed function. Had to be analogue. Got a draper expert one and its nice. 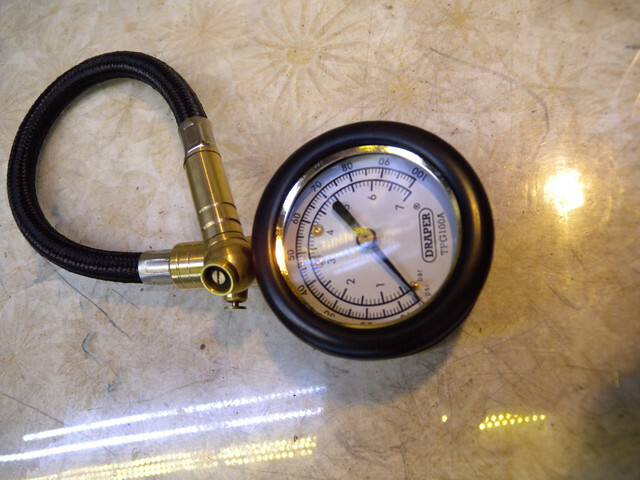 Holds the reading after taking it away, air bleed spring mounted button and swivel hose. 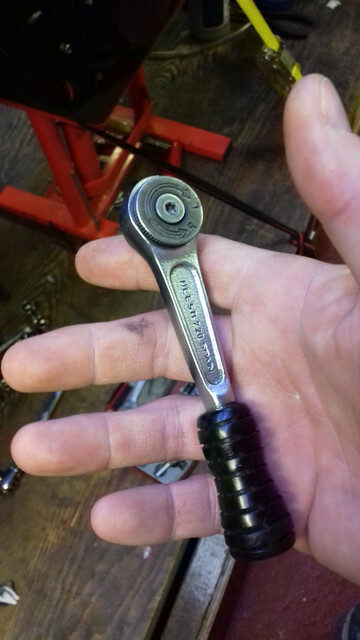 T spinner bar on bearings. Wanted mac but jaysus the money... 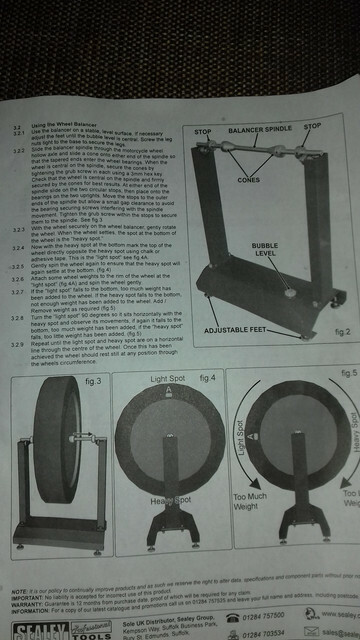 Settled on Motion Pro quarter and three eights t bars with ratcheting directional bearing piece to help spin on off. Expensive enough at 50ish gbp and will do a mini review when these land. Seriously could have done with these on the recent reassembly!!! Drill bits. Was in drastic need here. 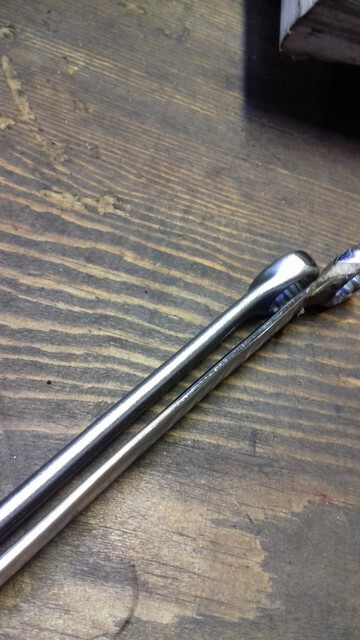 Purest chinesium shite needed replacement. Again middle of the road bosch hss set 20 odd piece in half sizes up to 10. 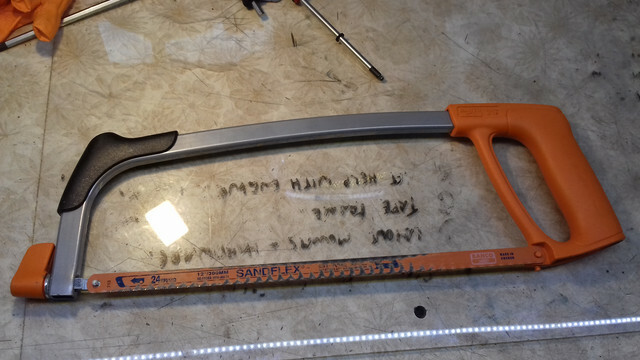 Hack saw. Yep utter utter scutter from chingzong land is what I've been using. 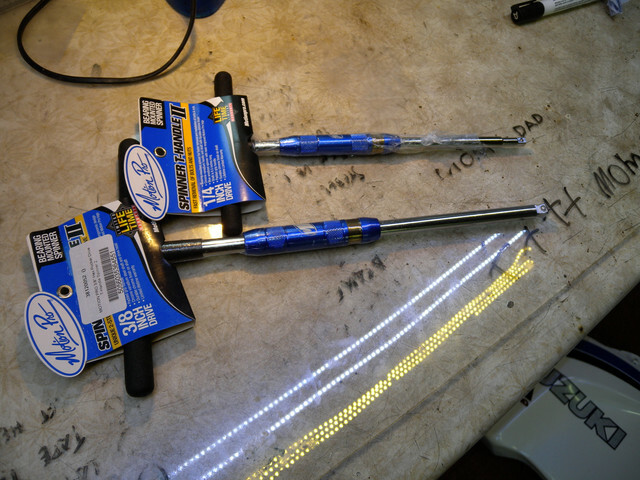 Bahco 319 with sandflex bi metal blades is an absolute joy to use now. Flush cutting ability is nice too. Im on the look out for a vintage set of engineers hammers and a pivoting vice. Been an engineer for over 32 years and have never heard of engineers hammers, do you mean copper/hide, ball pein or the small lump hammer? Wera screw driver tips seem to out last all the rest and their Allen key sets are great though expensive. Bought a set of impact screw drivers f/blade, Philips and posi made by draper and was pleasantly surprised. Britool spanners have never let me down. 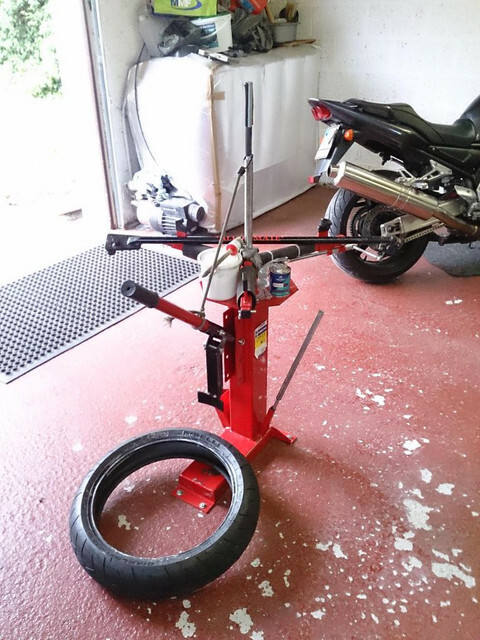 As far as the vice goes check to see if you have a used machine company local to you, they often get the accessories with the machines and sell them to Joe public as they are not worth shipping with the machine. 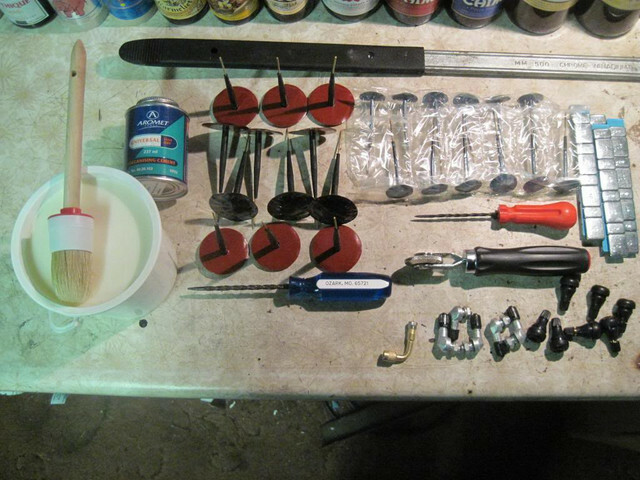 I have had most of my tools from when I started out aged 16. Lost a good few from theft though and vowed not to spend silly money (Snap on) again on the basics. I now have a selection of Blue Point, Mac and a few other decent but more budget items. Also have a selection of ex MOD stuff acquired via my surplus auction purchases. I always tend to keep any decent tools that come in assorted batches of shite that I buy as one can never have too many tools. I think the best thing is to buy the best you can afford and steer clear of anything that looks shite because it most likely is shite. Deano wrote: Been an engineer for over 32 years and have never heard of engineers hammers, do you mean copper/hide, ball pein or the small lump hammer? Deano yeah i mean ball pien, in a range of sizes. A shot filled hammer be handy too. My own one has a crack in the handle, dangerous! Cheers for the tip on the wera drivers. I will do some digging. I have a set of britool slckets in 3/8ths and they are tight fitting alright. Army surplus find. Great advice on the vice, i must adk a mate who might have contacts. Good advice alright. 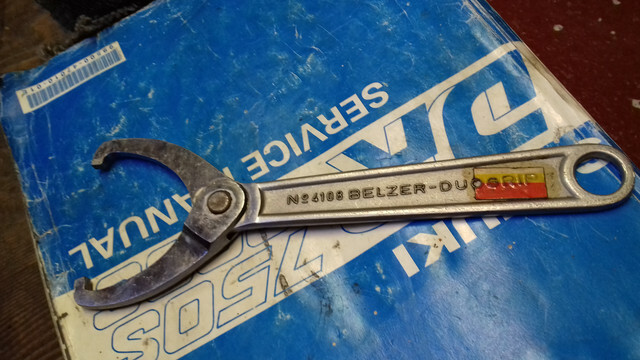 Have to say im a lover of teng spanners. I have halfords advanced which are nicer than you might expect but the teng ones are way better. The surface treatment is better, less slippy and they're more comfortable in the hand, especially edge on. The rounded edge is nicer. Owner of an aprilia so this gets used lol. Great piece. Bagged this yrs ago and its mega, bailed me out on loads of ocassions. The above are engraved with mod numbers and are quality i have to say. Theres no slop in that ratchet and the teeth are fine. Some pics of the t hex drivers from draper expert.. 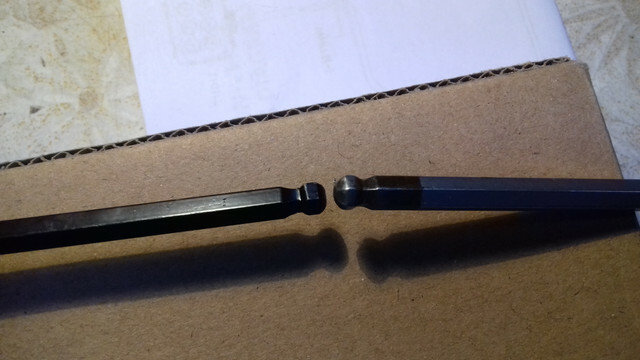 Comparing both 5mm keys the teng on the right has by far the better ball end. The draper can only catch the allen head at about 60deg where the teng will catch at 40ish degrees. In saying that the whole draper set were great value at 18 quid on sale. Fab saw and great blades! Savage bit of kit, love teng and this combined with the acessa quarter inch ratchet is a winner and very packable on the bike. Some good old tools there mate. I have some obscure bits and bobs which although not pretty are very good quality and have stood the test of time. Its easy to be a tool snob as many in the motor trade are. I think they are just trying to justify the huge investment in Snap on etc. 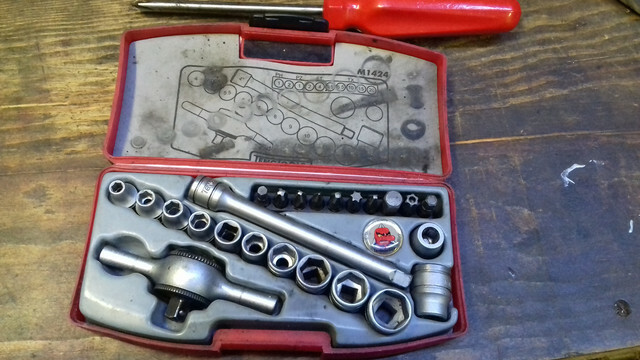 My mate recently replaced all his (recently stolen) tools with Halfords kit. It is pretty good stuff for the money and has a good guarantee. Good non shiny brands i have been impressed with are: Teng, Beta, Facom, Gedore, Britool. nug wrote: Some good old tools there mate. I have some obscure bits and bobs which although not pretty are very good quality and have stood the test of time. Its easy to be a tool snob as many in the motor trade are. I think they are just trying to justify the huge investment in Snap on etc. 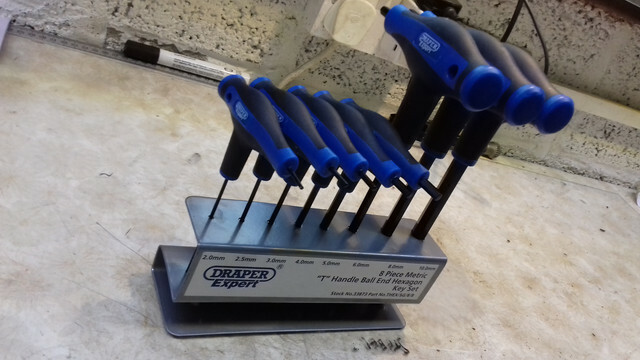 My mate recently replaced all his (recently stolen) tools with Halfords kit. It is pretty good stuff for the money and has a good guarantee. Thats exactly it, im after stuff that will last and do the job. Doesnt have to be all singing all dancing or top of the range. Heres those pro motion t spinners. Very nice to use and speeds up yer work no end. Really rate this. Pivots at base and at nozzle which is well handy. Best feature other than its accuracy is the bleed function and the reading stays when you pull it off the wheel. In fact the reading stays without pressure loss for days! 35 quid, a winner. A decent 500ml bottle of brake cleaner aersol spray is about 8 quid and christ knows how many i get through in a year. Double figures I'd say. Big saving in buying this and two litres of cleaner. After reseating the bead on my rim i balanced it with this. Took 30g. Nice to be able change tyres and balance em yourself. 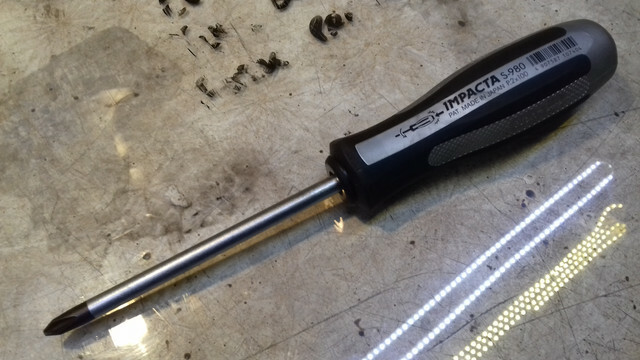 Vessel jap made JIS quality screwdriver thats also an impact. Never again shall I sully a jis fastener with a prone to cam out and round philips. Delighted with this and shouldhave bought one yrs ago. 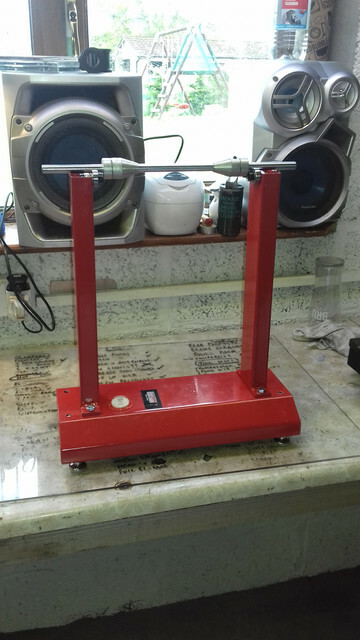 Chinky clone of the chinky built pro motion chain alignment tool. Checked it with a set square and it is square. The rod is true also. Cost about 8 quid. I'm on the fence about this tool, the concept of it anyhow. My issue is its using the rear sprocket as a means of alignment when to my mind it should be using the front no? Either way i tried it out and it showed the dr to be off a touch. After adjusting the rhs of Bobs fine stainless snail adjusters a whole index point (like 4 or so individual curves...) i had what you see above. What say the hive mind is this a correct method of alignment? 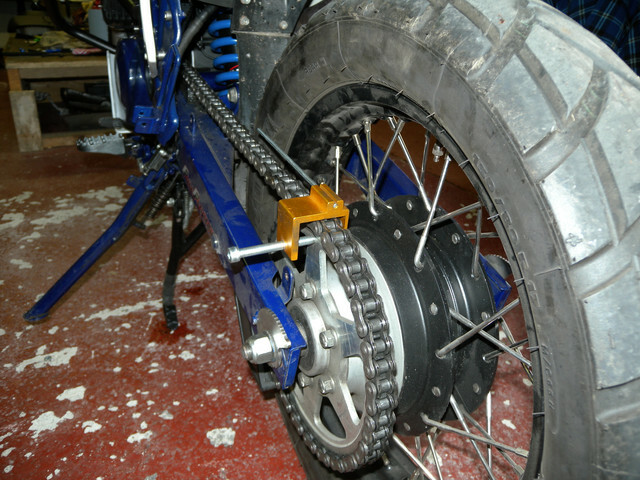 I used to use the string method around the tyres and i will double cheack it with that too and get back to ye all. Got some good kit together there mate. 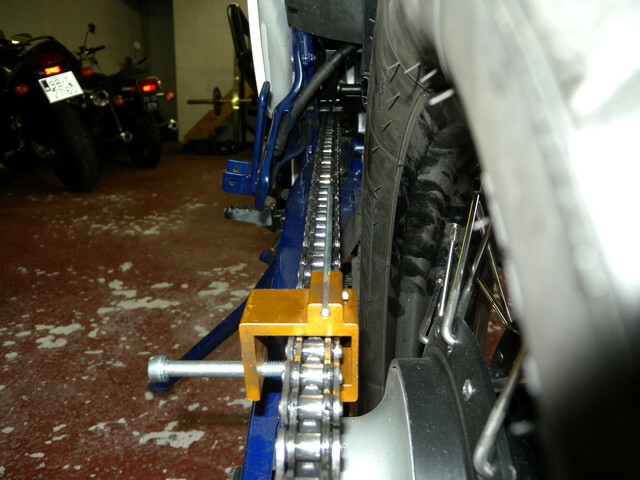 Not sure about the chain alignment tool either. I guess using the rear sprocket is likely the most accurate way of checking for any offset in the chain run. The front sprocket is a little small to use as a guide and also has a fair amount of movement in it compared to the rear so not the best for accuracy. Well i test rode it and the other bikes and yeah id say your right it does seem to work. The sr in particular has less chain noise and seems to track more true with my mitts offbthe bars. Be better if the grips (inside the piston grips that is) were narrower in section as getting it between a four or six pot opposed is tricky if they're out far. Oh and the green yoke is a tyre valve puller afik thats the last thing i was missing on the tyre changing front. Looking for any general advice on a blasting cabinet. Must be a bench top jobbie and when i get home I'll quote my compressors specs for compatibility. 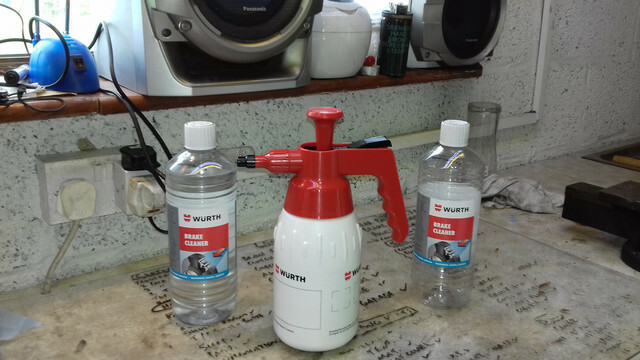 Can a standard media blasting cabinet handle soda or is it a different gun/nozzle? Guessing vapour blasting is an all together different set up yeah? Tbh iwould prefer it over sand blasting. Any pointers or pitfalls? Gona retire my wee jewelers sonic ckeaner and am thinking of one of these. Yea or nae? What amount of W transducer do need per L of capicity?